While I am usually a bit skeptical about concealer products and have certainly tried many over the years, Milk Makeup is a company that rarely fails me, and after trying their phenomenal starter “Meet The Fam” Kit and Sunshine Oil, I certainly had high hopes for this multi-use product with skincare and cosmetics benefits to use. After experimenting with everything from drugstore brand products to concealers upwards of $70 (the infamous cle de peau), I was admittedly a bit skeptical about trying yet another brand, but like approaching every and any new product with fairness and optimism, particularly if it is a brand I have already dabbled in with great success. Formulated in 16 different shades, this long-wear full-coverage concealer is both vegan and gluten-free (as with all Milk Makeup products), and formulated free of any parabens, sulfates, and harsh chemical additives. It is suitable for all skin types, including sensitive skin, and designed to conceal the appearance of fine lines, wrinkles, or dark circles under the eyes. It can also be used on other areas of the face, to cover blemishes, highlight the cheeks, or be placed on the bridge of the nose for a slimmer aesthetic. 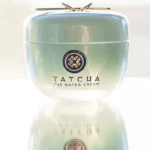 Additionally, the product formulation is creamy and hydrating, and formulated with Vitamin E, Billberry Extract, and Blue Lotus, to condition the skin and prevent from further dryness and dehydration around the area. Their transparent practices, effective and quality products, and fine ingredients contained in the formulations remain solid factors of differentiation in a crowded category, and there is a distinctive sense of caring and conscientiousness about the consumer and varying demographics that will be using their products. Not many brands can attest to a certain sense of vigilance when it comes to considering gluten sensitive consumers in conjunction with developing incredible products that last and work. This review will cover some main product features, key ingredients and benefits with corresponding topical use, some main positives and negatives to bear in mind prior to purchase, and a final verdict, to help you make a more informed purchasing choice prior to any point of sale. This concealer has full coverage that lasts all day and is both highly buildable and blendable. It glides smoothly on to the skin and delivers a matte finish, without the need for any powder product. It feels extremely lightweight on the skin and does not cling to any dry patches or create any redness, irritation, reactivity, or breakouts. It never rubs off and completely conceals the appearance of dark circles with a high degree of pigment and the finish is incredibly natural. A very small amount of product goes a very long way, so you can expect a high degree of product longevity using this as well. It is extremely breathable and cannot be felt on the skin following use or application, and even if you are suffering from very tired looking eyes or significant dark circles, you can expect a high degree of coverage with a long hold that will not smudge or require reapplication throughout the day without any creasing. 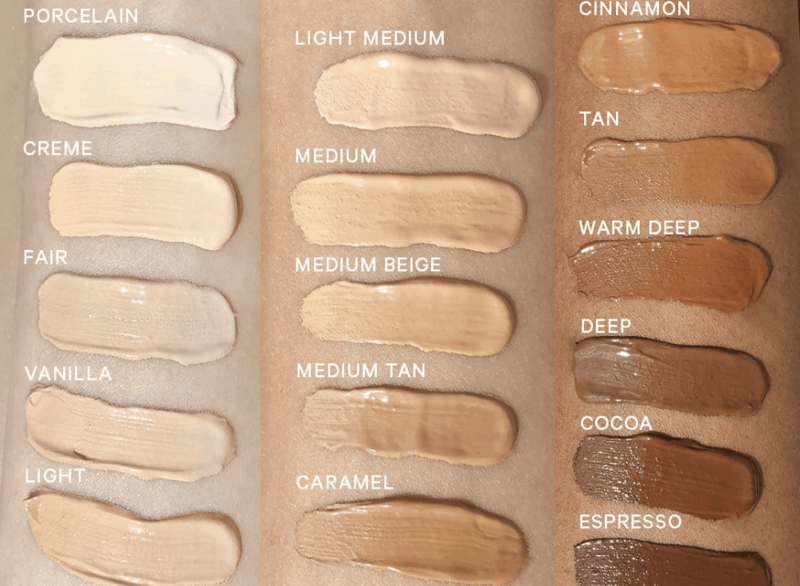 The color lists are extensive and not only highly pigmented but take into account undertone as well, so you can anticipate a very high color match that is nearly identical to skin color in natural or artificial lighting irrespective of skin color and suitable for specific undertones as well. Using this product, not only were dark circles completely covered with a long (9 hour) hold without any rubbing off or dryness, there was no creasing or clinging to dry patches. The product was not at all irritating to the eye area and I did not experience any redness, irritation, breakouts, or reactivity at all, even around the sensitive under-eye area. I felt the product was hydrating and provided very strong and long wear coverage, and was priced well considering the longevity, benefits, and efficacy. If you are seeking a concealer product for circles, blemishes, the nasal area, or any other treatment areas, I would highly recommend this product, as it’s one of the best I’ve tried on the market and in the category, and once again Milk Makeup did not disappoint, providing a clean product with a wonderful formulation that offered results and efficacy upon use. My favorite product feature and perhaps the best factor of differentiation here are the multi-use benefits, in terms of both providing suitable skincare hydration and protection in conjunction with full coverage and long-hold wear with a matte finish. Especially considering the product category can be tricky, the return policy in this case may be a highly important factor for you. The manufacturer, Milk Makeup, has a strong return and exchange policy that honors full refunds upon dissatisfaction or allergy, and this policy favors the consumer, both new and returning, and exercises extremely transparent business practices. If you are dissatisfied with the use of the concealer, or if it does not work for your skin to provide suitable benefits, or you experience any product allergy or reaction to the formulation, you may elect to return it at any time. In this case, you will receive a full refund equal to the entire purchase price of the item. If the item was received as a gift (without receipt or with only gift receipt in store), the policy generally applies for an even exchange, and this policy is applicable to online purchases, as individual store policies may vary depending on location and distributer. If you feel the policy if not taken into consideration, you may contact customer service, and you can remain ensured you will receive a full refund and help with any concerns or issues. I was happy to discover that the formulation was gentle enough to use even with very sensitive skin and did not cause any breakouts, but due to price barriers or sensitivity concerns this policy may help assuage fears, as individual allergies are highly variable. While I felt compared to the longevity and benefits this was a worthy splurge (and not extremely pricey in comparison to others in the category), this is a highly individual choice, and only one you as a consumer can decide on. It’s a difficult category to shop in, but I found the product truly worked. Out of countless products, including those at higher price points, I have tried in the category previously, Milk Makeup’s Flex Concealer did not disappoint and absolutely exceeded my initial expectations, which considering the category were not incredibly high, as it is a challenging one (at least in my prior experience). Using this product, dark circles are somehow magically erased, and the product offers a smudge-free long wear with full coverage that is very buildable and still offers a natural aesthetic. It did not crease or cling to dry patches, and provided a refreshing and hydrating feeling following application. Additionally, the product is gluten-free and vegan, and suitable for all skin types, especially for those who are sensitive, particularly around the eye area. If you’re looking for a matte finish product to conceal blemishes or cover up dark circles that provides a long wear and does not smudge throughout the day, and offers a high amount of coverage that still proves highly breathable, I would absolutely recommend this product. While it is not inexpensive, it definitely offers value and exceeds benefits, use, and longevity in comparison to others in the market in the same category, even those at higher price points. If you’re someone who has seemingly tried everything to cover up spots or circles in the past without success, I would definitely suggest giving this product a go, as it is a true standout and very different than most formulations available (in the most positive way possible).